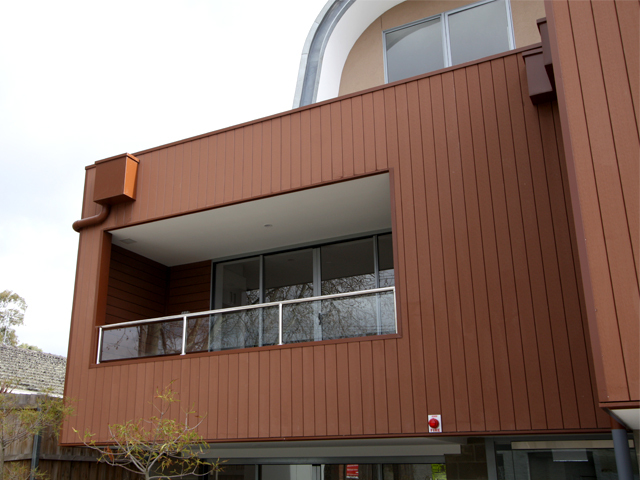 With stunning simplicity and low-maintenance at the forefront of the new urban apartment development in Deepdene, Victoria, Futurewood's EnviroSlat composite timber cladding was the ideal choice, offering realistic wood look without the maintenance. 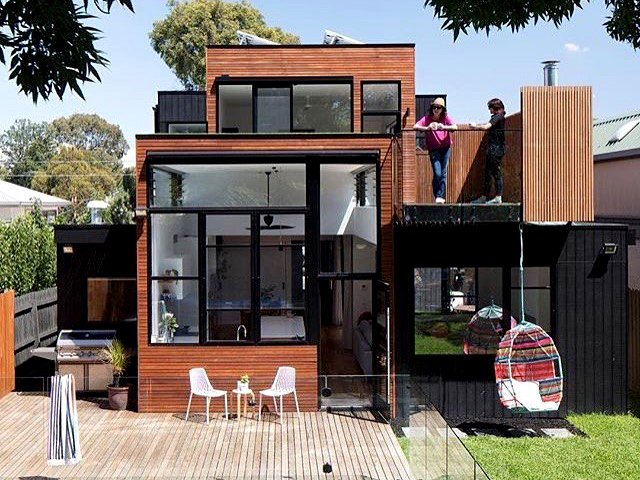 The low maintenance Futurewood composite timber cladding is pre-finished in the colour Walnut with a coarse-sanded face to help accentuate the contrast of the shiplap join. 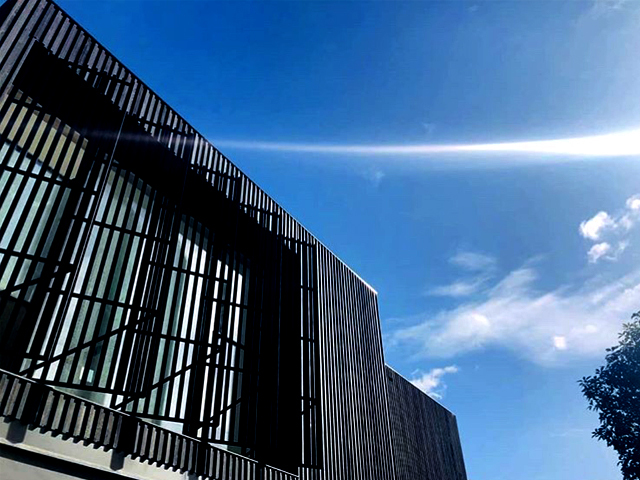 The finish provides a real wood look without most of the ongoing maintenance that a timber façade would require and juxtaposes the stark look of the concrete block and galvanised steel. 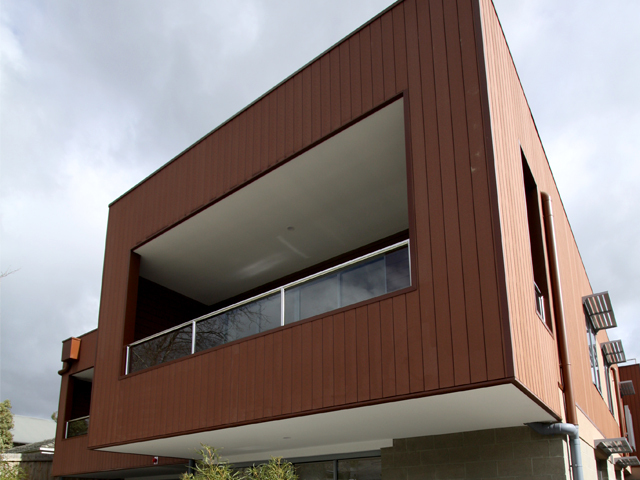 The cladding can be installed either horizontally or vertically, but for this design a vertical scape was used as the lines helped to enhance the features of the offset balconies. 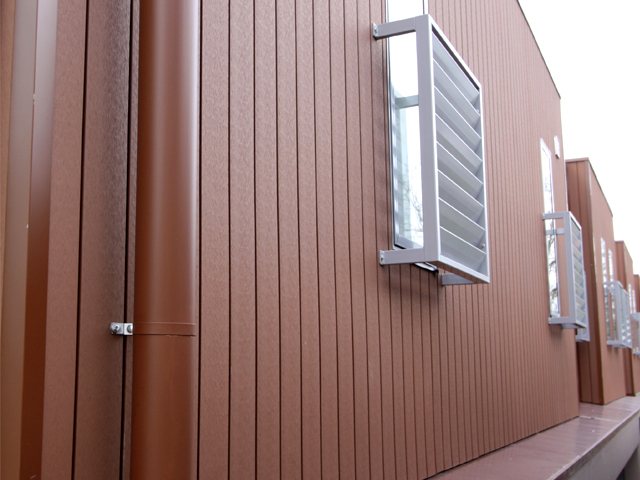 The EnviroSlat 156mm-wide weatherproof wall cladding was supplied in a number of different lengths to suit the project requirements and help to minimise waste from offcuts, further reducing project costs. 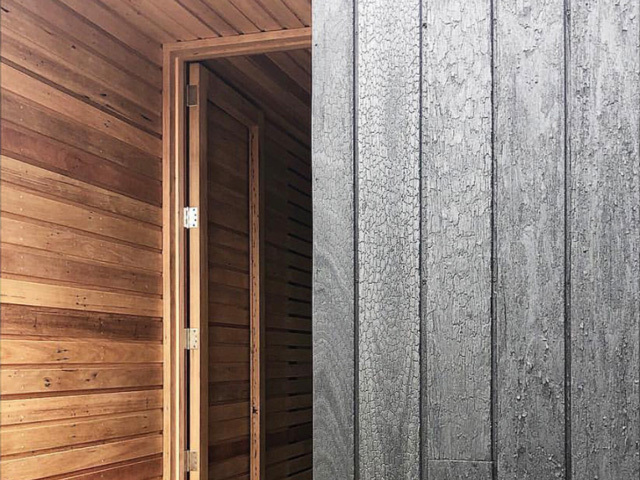 By choosing fully finished Futurewood composite timber cladding instead of unfinished cladding material, allowed the builder to reduce the number of trades required for the installation, saving time and money in both labour and scaffolding hire. 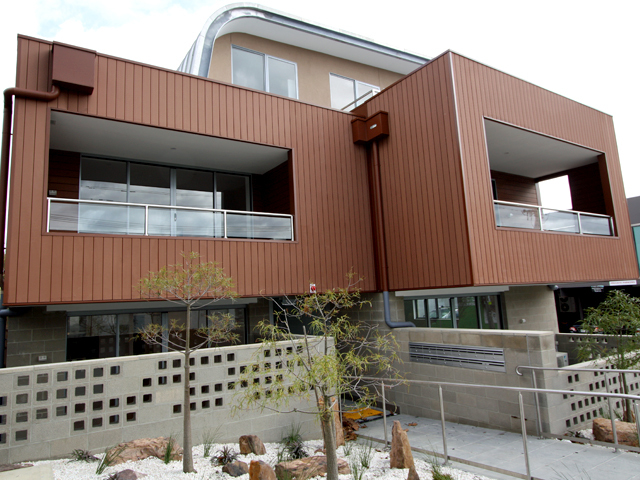 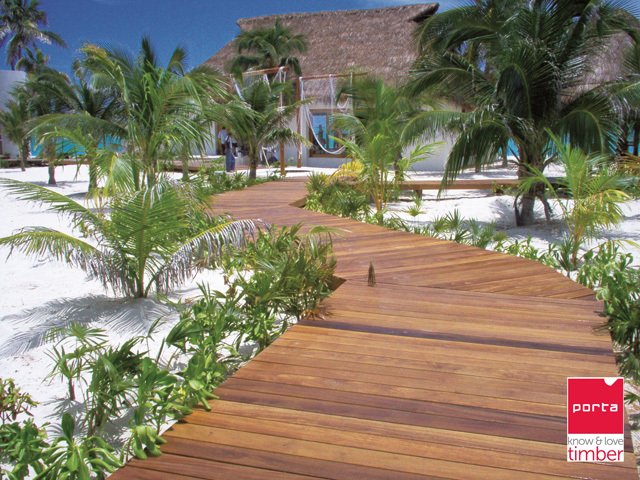 Futurewood solid composite timber cladding is made from 90 percent recycled or reclaimed materials. 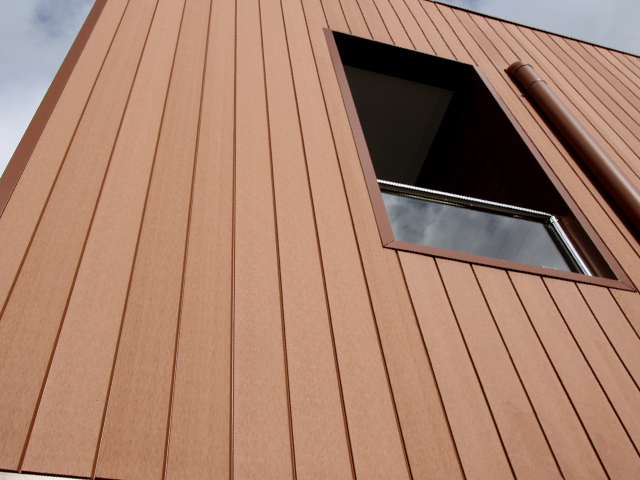 The long-life credentials of the Futurewood cladding were ideal for this development as the boards are made from a percentage of recycled plastic mixed with wood fibres and rice husks. 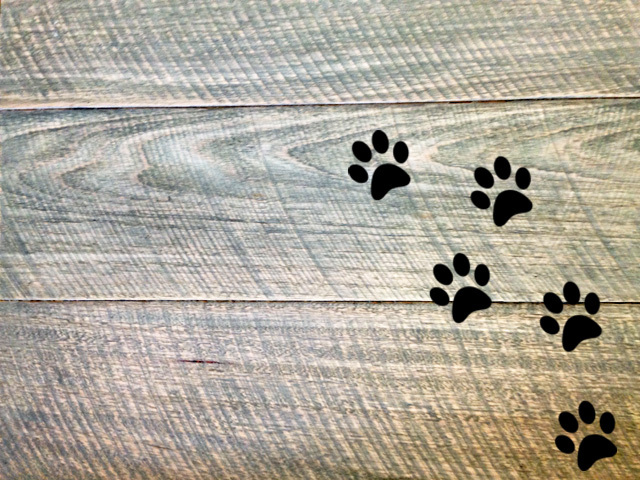 The colour is mixed through each of the boards so that they will not rot, reducing ongoing painting or staining requirements and saving money both on the build and in ongoing maintenance. 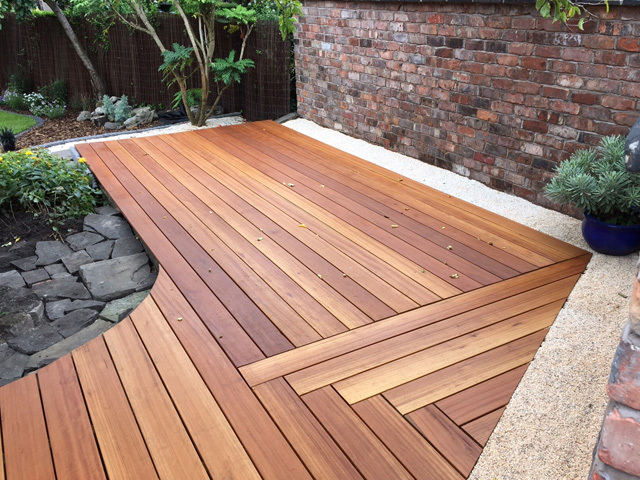 For more information about Futurewood’s full range of composite products, including decking, cladding and screening, contact the team or visit their website via the links below.